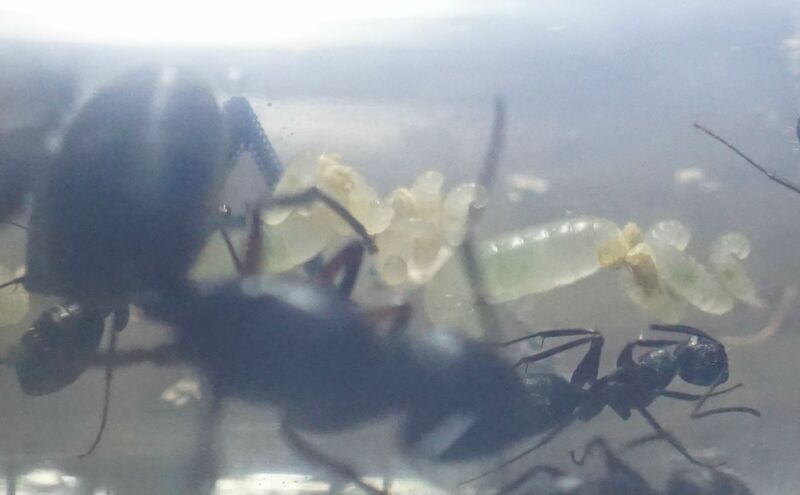 A colony of Camponotus chromaiodes which I obtained last August has started to wake up. The workers have started foraging and exploring their setup, which is nothing impressive. I'll be moving them to a new setup in a few weeks. Also their brood has started developing again. Lots of ants have different strategies to survive the winter. For Camponotus their larva simply stop developing, remaining in the size as the two on the right. As food becomes available to them though they begin to develop.